Be the first to share your favorite memory, photo or story of Eyse "Sid". This memorial page is dedicated for family, friends and future generations to celebrate the life of their loved one. 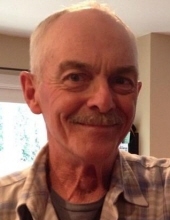 Eyse Sidney Dotinga “Sid”, age 69 of Lynden, passed away Saturday, April 6, 2019 at Whatcom Hospice House after a short but aggressive battle with esophageal cancer. He fought to the very end. Sid was surrounded in his last days by his children, sisters, and some of his most beloved family and friends. His hospice room was filled with music, tears and lots of laughter! Sid was quick-witted and even came up with a few last good “dad jokes” until he was wrapped in the arms of Jesus and welcomed to his eternal home. Sid was born May 2, 1949 in Edmonton, Alberta, Canada to Thomas and Bertha Dotinga. He was a farmer and ranch hand for 40 years, spending the last 10 years working for Berry Acres. Sid married Duana Bacon in 1973, and although they divorced after 34 years of marriage, they remained close friends. Sid thoroughly enjoyed his Saturday bowling league and attending his children’s and grandchildren’s sporting activities. Sid is survived by children, Charrice Dotinga of Lynden, Jared (Michelle) Dotinga of Fullerton, Marissa (Eric) Postma of Lynden, Alisha (Matt) Leisse of Philadelphia and Thomas Dotinga of Mount Vernon, his friend and mother of his children, Duana (Don) Dotinga-Wilkins. He was loving “Grumpa” to Sydnee Dotinga, Jayden, Nolan and Devin Dotinga, Cody, Rylee and Austin Postma, Bella, Jackson, Max and Nora Leisse. He will be greatly missed by his brother Bill Dotinga, “Sid-sters” Cathy (Arnie) Blankers, Barb (Brent) Matter, Hilda (Ron) Wagter and Glenda (Kevin) Kok, as well as numerous nieces, nephews and cousins. Sid was preceded in death by his parents, Thomas and Bertha Dotinga, and his sister-in-law, Thelene Dotinga. A Celebration of Sid's Life will be held at Cross Point Church in Lynden on Friday, April 12, 2019 at 10:30 a.m. In lieu of flowers, please send memorials to Whatcom Hospice House Whatcom Hospice Foundation, 2901 Squalicum Parkway, Bellingham WA 98225. Funeral arrangements are entrusted to Gillies Funeral Home and Cremation Services. To send flowers or a remembrance gift to the family of Eyse "Sid" Dotinga, please visit our Tribute Store. "Email Address" would like to share the life celebration of Eyse "Sid" Dotinga. Click on the "link" to go to share a favorite memory or leave a condolence message for the family.